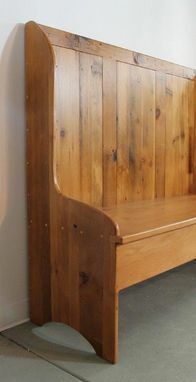 Reclaimed Old Pine high back bench. Great for smaller spaces for where there is not a lot of room for chairs to pull back. 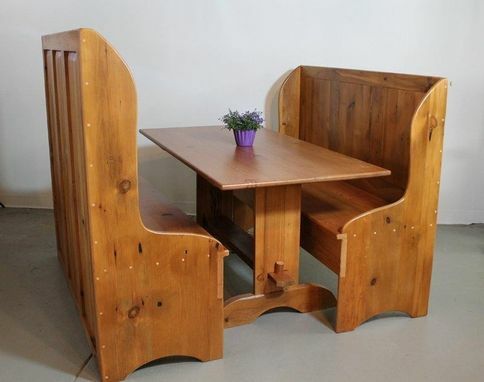 This very cozy design can be done in the size you need with the color you'd like. 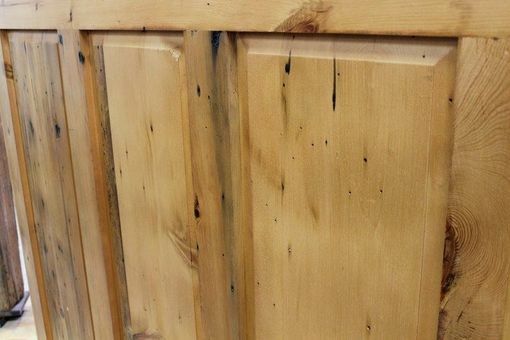 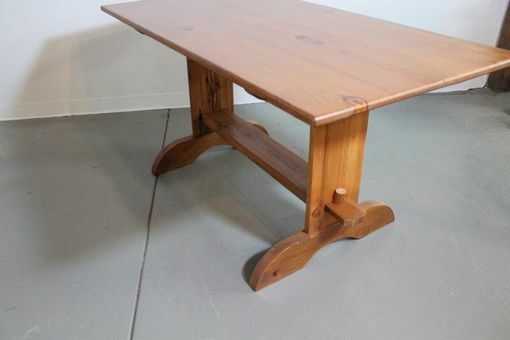 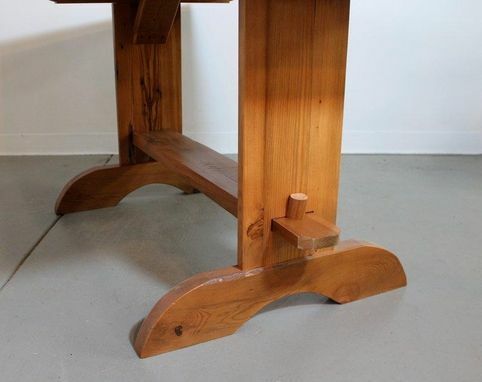 Seen with our vineyard trestle table, this is sure to warm up any space. 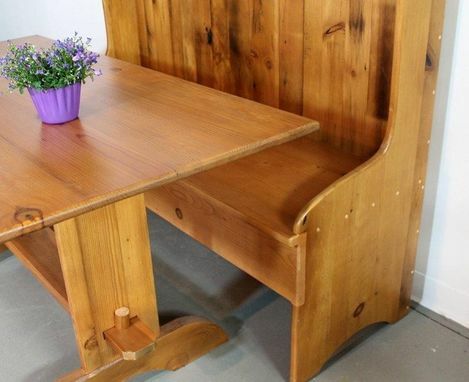 Size of bench seen: 5' long x 45"h.